« Texting, Bad For Your Health? 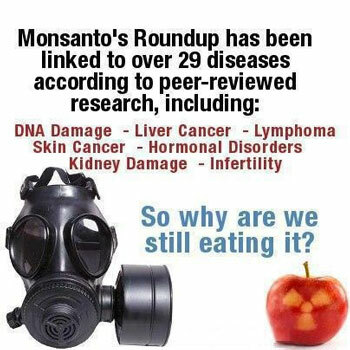 Monsanto’s Roundup Weed Killer, Glyphosate, Carcinogenic? Monsanto’s Roundup Weed Killer, Glyphosate Carcinogenic? Monsanto is at it again poisoning humans and the environment with a pesticide glyphosate. Glyphosate, 2,4-D, and dicamba found to affect bacteria in ways that could promote resistance to common antibiotics.